The Fourth Annual Pints for Pups was hosted on Oct. 27 at the Golden State Brewery. The South Bay Beerhounds and Clay Planet sponsored the event. Pints for Pups was founded by Deb and Paul Anderson, members of South Bay Beerhounds. The first event was planned out of their house with help from volunteer organizations and a few artist friends. Along with spirits for sale and dogs up for adoption, the fundraiser also featured a silent auction of donated goods. Proceeds from the silent auction went to two charities: Jake’s Wish Dog Rescue and Thulani Senior German Shepherd Rescue. Jake’s Wish, named after their first rescue dog, was a first-time participator at Pints for Pups. 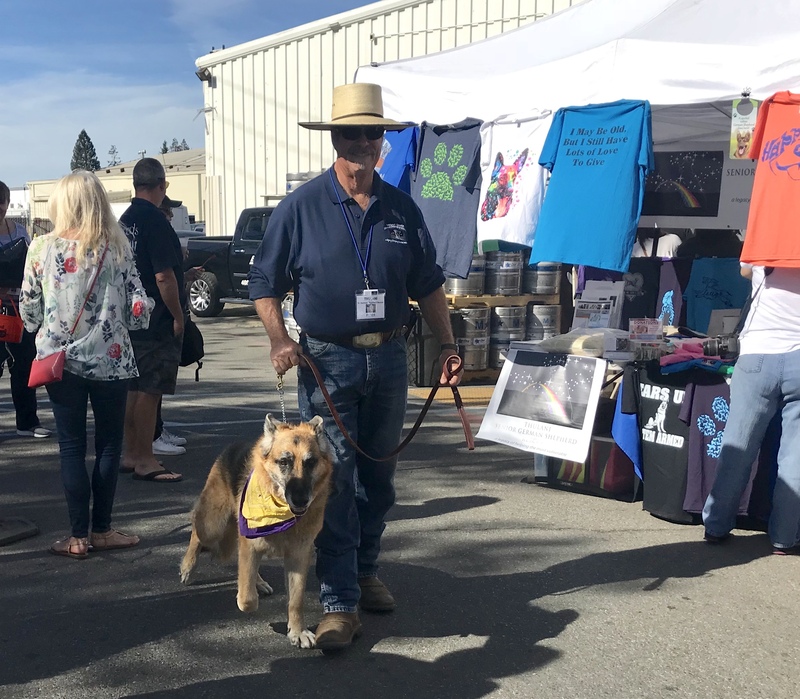 Raising funds and awareness for at-risk dogs in the south Bay Area is the primary mission of the charity. Jake’s Wish also extends to underfunded areas such as Hollister and Los Banos. Two of the rescued dogs were even brought by “flying volunteers” from China. The organization is run entirely by volunteers. Without any central facility, volunteers coordinate all fostering and fundraising out of their homes and community events. 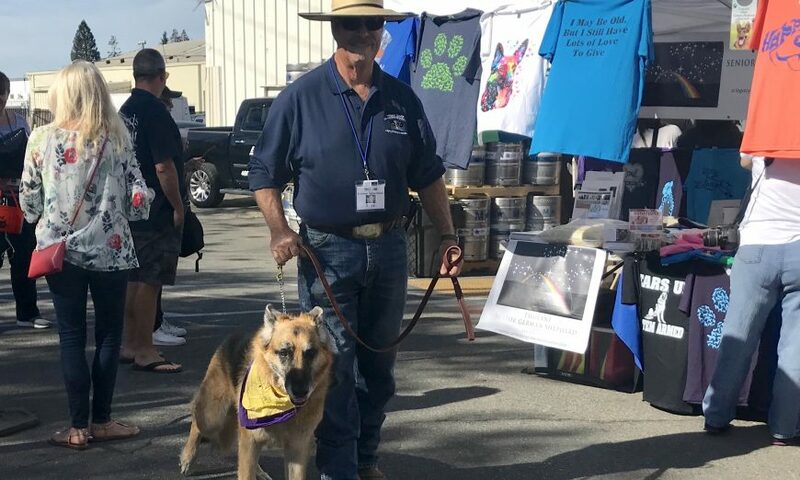 Thulani Senior German Shepherd Rescue celebrated their second year at Pints for Pups. Their mission is to give older or terminally ill dogs permanent loving homes for the last years, or sometimes months, of their lives. Along with covering all medical expenses and fees for adopters, Thulani provides education for the kind of care senior dogs need. Many such German Shepherds and similar breeds were available for adoption at the event, dressed up in their best Halloween bandanas. Acorn and Squash, two Chihuahua dachshund mix puppies also looking for forever homes, headed up the “Smooch the Pooch” kissing booth. “We thought we should get beer drinkers and artists together for a good cause,” said Matt Hoogland, owner of Clay Planet in Santa Clara. Hoogland’s ceramic and pottery company has been a longtime sponsor for Pints for Pups. Many of the local vendors create their art using supplies from Clay Planet. Stephanie and Seth Hendrickson, who have run the Golden State Brewery in Santa Clara since 2016, said they were glad for the opportunity to host Pints for Pups for the first time in their taproom. DJ Rusty Cleaver of Tractorhaus Productions provided music and entertainment.